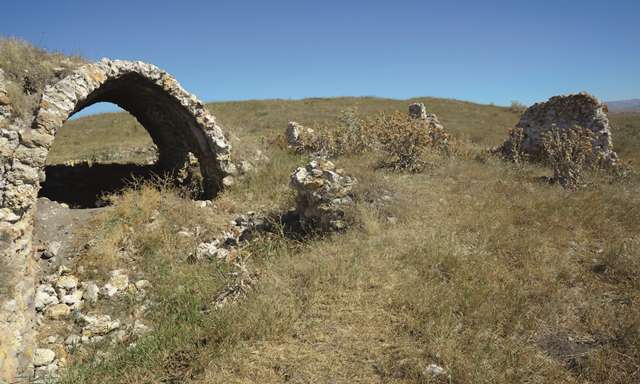 A ruined han located along the Sivas-Tokat road, busy since Antiquity. The Paşa Han is located 15 km northeast of Sivas on the Sivas-Tokat-Niksar road, along the Tavra River, 100 m. to the right of the road. The modern highway, which is about 100 m from the han, is believed to follow the old caravan route, of which no traces remain. This route was heavily used in the Seljuk era. As the name "pasha" refers to an Ottoman title, it is believed this name was given to the han at a later date, and the original Seljuk name for the han is not known. The original inscription plaque has been lost, so it is not possible to determine its patron or construction date. The han, now in ruins, was built on the side of a hill, with the northern side on the higher level. The han is oriented north-south. The plan consists of a covered section and an open courtyard with service areas placed in front of it. The crown doors of the covered section and the courtyard are not on axis. The covered section is slightly smaller than the courtyard. The covered section comprises three naves with two lines of support vaults which rest on 4 rectangular piers. 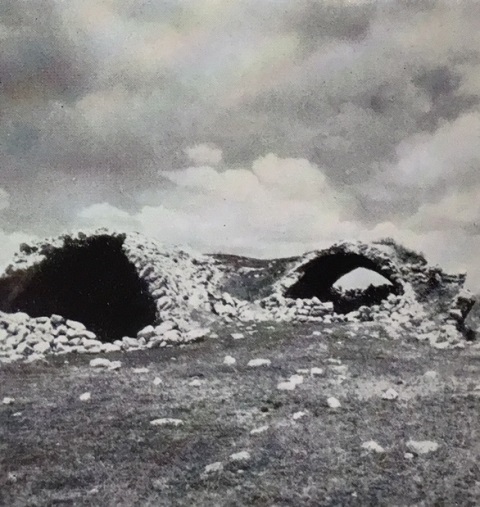 The ruins indicated that the naves were covered by pointed vaults in the north-south direction. The central nave is higher and wider than the lateral naves. The walls of the han are approximately 1m thick. There are no traces of the windows, the mosque, exterior towers, spolia material, decoration or inscription. No mason marks can be seen on any of the remaining stones. It was probably built at the same time as the Çiftlik and Ezinepazaar Hans. The han is, for the most part, in ruins. When Erdmann visited the han, its walls and piers were more solid, but much deterioration has occurred in the last 50 years. The han has been extensively pillaged by scavengers over the years. It is now in ruins, with most of the sections having collapsed into the center of the building, perhaps due to the numerous earthquakes in this area, notably the serious one which shook the region in 1939. Eravşar, Osman. Yollarin Taniklari (Witnesses of the Way), 2017, pp. 296-298. Erdmann, Kurt. Das Anatolische Karavansaray des 13. Jahrhunderts, 1961, pp. 79-80 no. 23. ©2001-2019, Katharine Branning; All Rights Reserved. No part of this site may be reproduced in any form without written consent from the author.